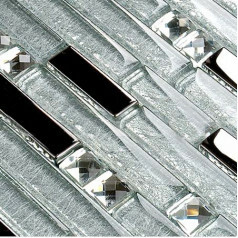 This stone and glass tile designed with crystal clear glass chips, artificial stone and resin chips which have inner conch shell. 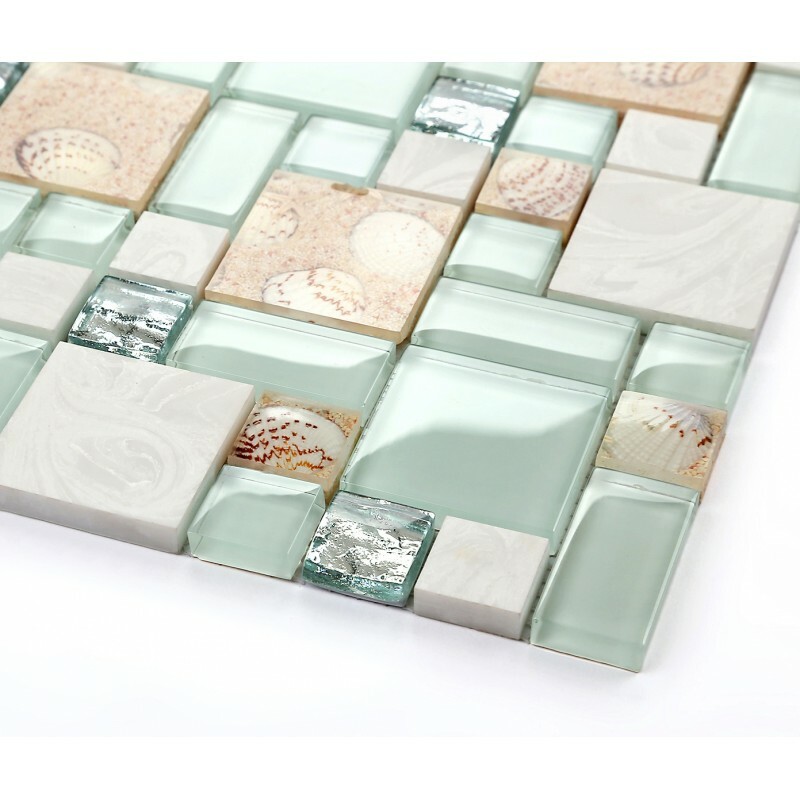 the resin chips are mostly like acrylic, clear and bright, the little conch are just sitting on the beach in there. 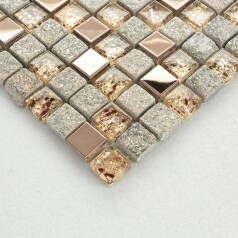 The artificial stone chips are polished and have textured on finish, it feels silky when fingers on it. 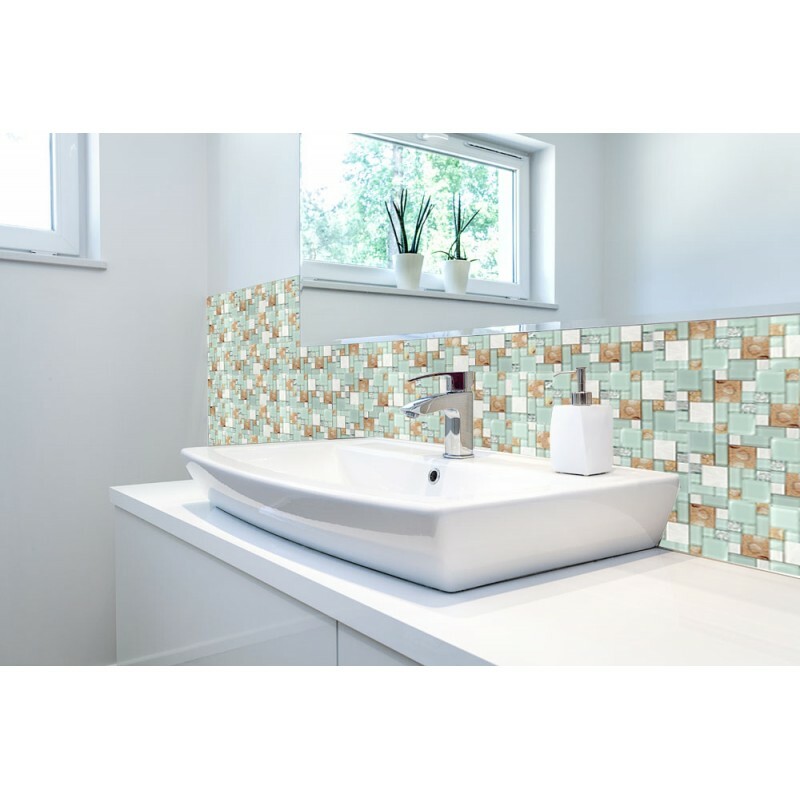 The tile thickness is 8 mm and the chip is 23 mm x 23 mm, 48 mm x 48 mm, it is mesh mounted and it is easy for cutting. 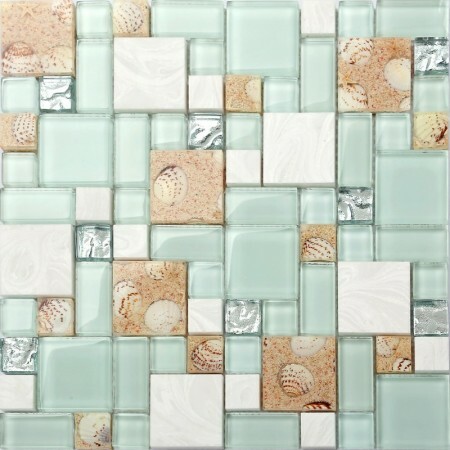 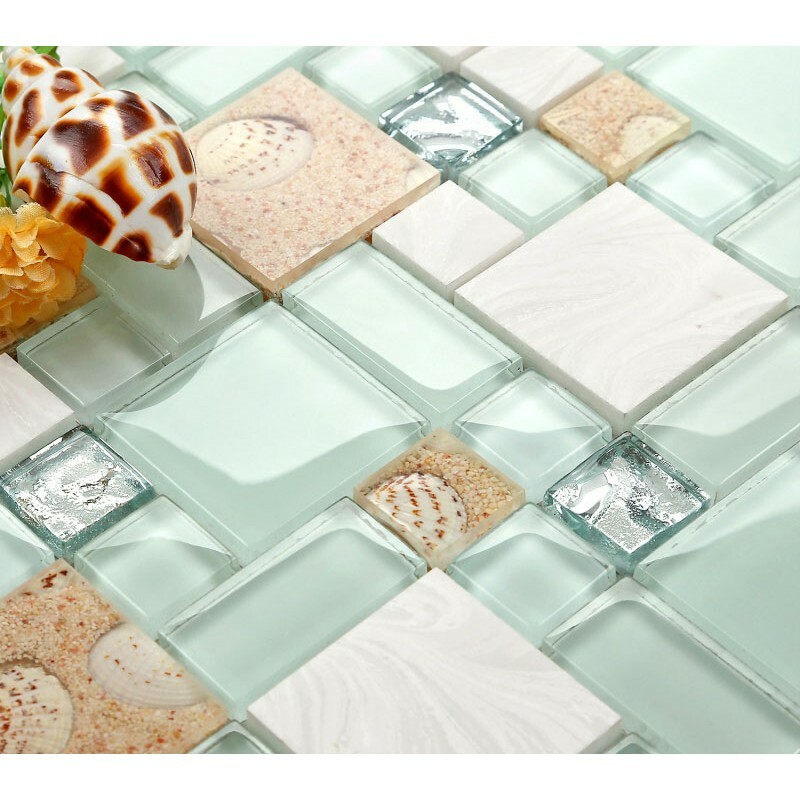 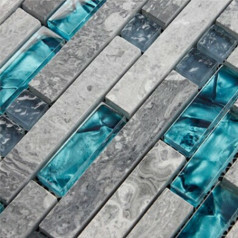 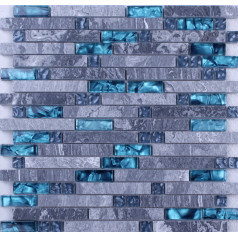 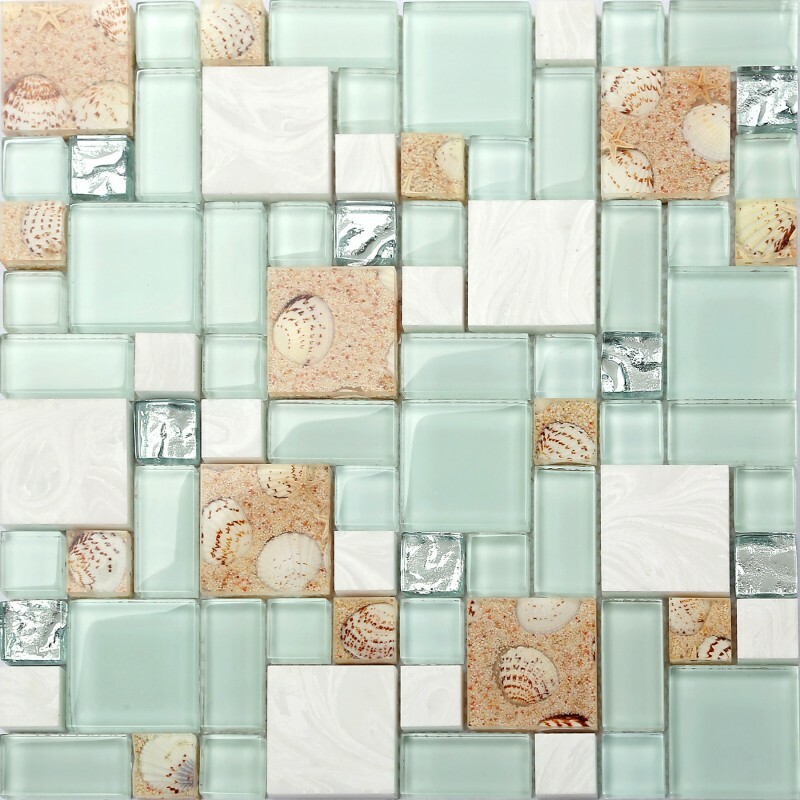 The Stone and Glass Conch Tile can be used as kitchen backsplash, bathroom, shower, featured wall and swimming pool.